The Groovy UV Show is the established UK No.1 Blacklight Ultra-Violet ‘glow-in-the-dark’ performance company with more than 20 years’ specialist experience in the field. Using puppets, costumes, props & tricks that are the very best around this is a show guaranteed to keep the attention of the audience and leave everyone wanting more! The Groovy UV Show is the only UV show in the UK that have original soundtracks – music, songs & scripts written & performed exclusively for Krazy Krys. As well as using songs we all know and love. 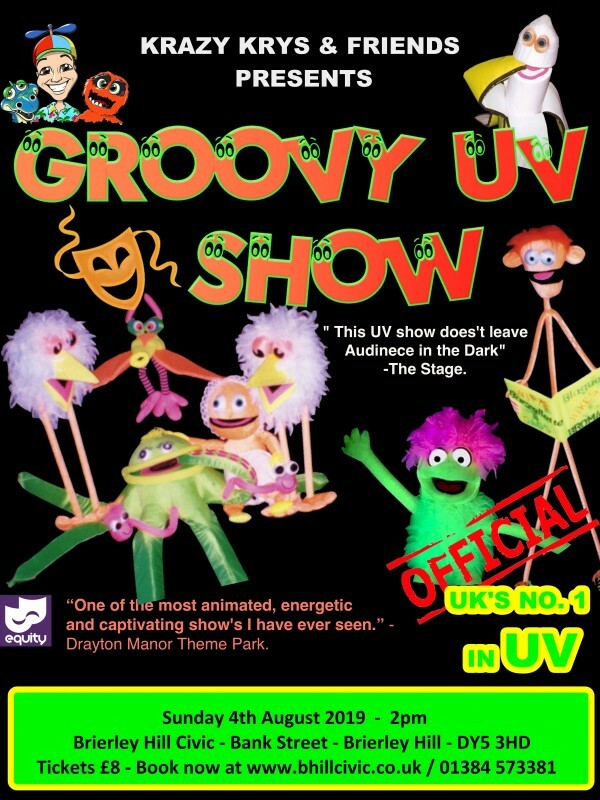 The Groovy UV Show the 'UK’s No.1 in Ultra-Violet Entertainment'.